Living leisurely is a privilege that only the lucky ones can experience, and Formentera offers that possibility to all its visitors. Explore the island on foot or bike will allow us to see places with enormous charm, and thus know the island from another angle. 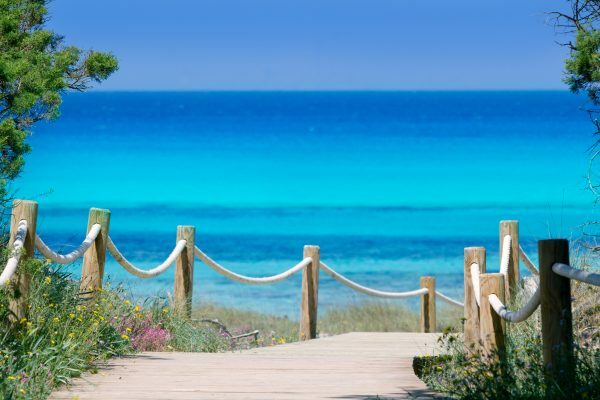 There are 32 green routes that connect Formentera without necessary just walk on the road. The island is small, accessible and comfortable so we can cross it mostly by bicycle following the Green roads, forests of pines and sabinas. Through these tours we can access the outstanding beaches of the island, as Illetes o Cavall d’en Borràs. Another highly recommended trip Es Brolls road, bordering the great famous saltwater lagoon is as Estany Pudent, a unique place where it is usual to observe flamingos, herons and ducks. 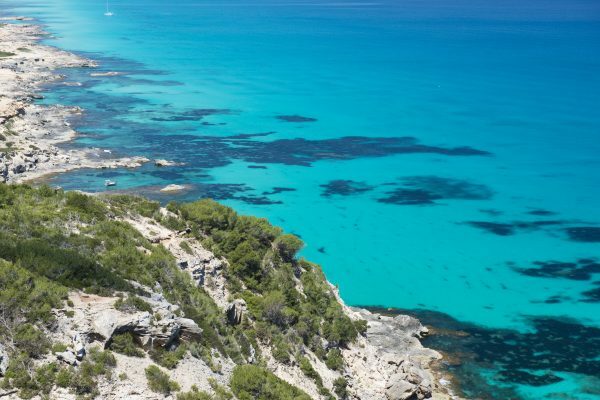 In these 32 routes not only we will enjoy the most natural and genuine of the island of Formentera, but that we will also discover their heritage since we see churches, windmills, marine lighthouse and several archaeological sites. We will also find perfect places for the observation of birds and stunning salinas. New in the year 2018 is expected the launch of the application Formentera 365 that gives practical directions for planning a holiday in Formentera. 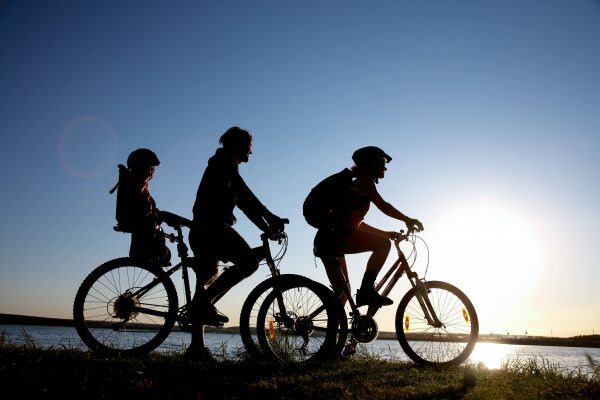 The new software includes many activities to enjoy on the island both by sea and by land and also incorporates 32 green routes that connect the island totaling more than 100 kilometers. 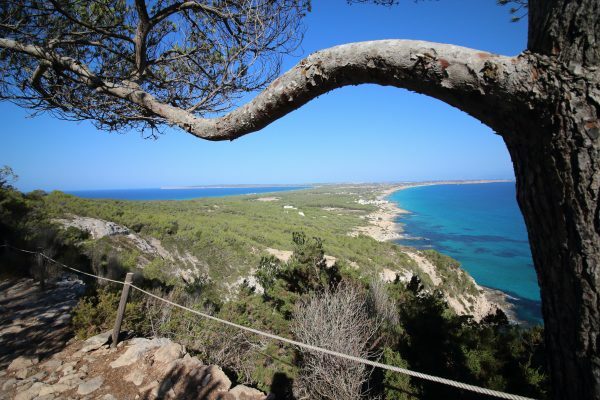 Parc Natural de Ses Salines d’Eivissa i Formentera It is an example of the natural wealth of the Mediterranean area. In this park we see the majority of plant species that exist in the Balearic Islands. The pine forests and the Sabine women in addition to the vegetation that grows around the ponds, dunes and cliffs abound. The communities of mobile dunes and half mobile they are very abundant. Something very interesting about this park is that this is a zone of rest and construction of migratory birds nest so have come to register up to 210 types of different birds. Include waterfowl such as flamingos or the White Stork, common and seabirds like the Audouin gull and the Balearic Shearwater (pardela). In the Estany Pudent is also one of the highest concentrations of with Europe black-necked grebe (zampullines). Finally if we are aware, veremos copies of the Pitiusan lizard, because they do not fear the presence of man and often populate the most hard and arid land. In addition, there are also garden dormouse (lirón careto) and several species of snails and endemic beetles. Under the motto One action, global effect!, en 2017 was developed the project Save Posidonia, an idea pioneer who was born with the objectives of promoting sustainable tourism and raise funds for the conservation of posidonia. Marine, this plant Posidonia was declared World Heritage site in 1999 and it is responsible for the only transparent waters of Formentera. Are in the Prairie of more extensive Posidonia meadows in the Mediterranean Sea. The Posidonia, although he lives in water, is a plant with root, stem and leaves indispensable to sea life acting as provider of oxygen for fish, sponges, algae, and creating true underwater forests inhabited by numerous species. After flowering, its remains form parallel to the coast reefs cushioning the effects of the waves and allowing that single seats on the coast most fine sands. Save Posidonia Project, sponsored by the Balearic tourism agency, has been a success: organizations, companies and individuals involved sponsoring meters of Posidonia until more than 130 thousand square meters sponsored. This fundraiser will be used to fund the most innovative scientific and environmental project, always linked to the conservation of Posidonia. In may a variety of frontline professionals with cultural events and sporting events are prepared to come to run, swim and compete in a unique setting. In addition, thanks to the campaign “Descubre Formentera en Mayo”, you get discounts on shipping, car rental and accommodations (you will find all the information you need on the official website www.formentera.es). As news of 2018, between the cultural and sporting events sponsored by the Balearic tourism agency (Agencia de Turismo Balear), it highlights the Marnatón, a relay race in the Sea (from 24 to 26 May), the first Muestra de Nuevas Dramaturgias Teatrales in La Mola (from 3 to 5 May) and cultural events as consolidated as Formentera Fotográfica (a meeting of professionals for lovers of photography and image, from April 28 to May 1) and Formentera 2.0 (days of communication online and digital culture, from 3 to 6 May). In may they also start the markets of Artesanía de La Mola and the Arte de Sant Ferran. In addition also provides a sample of locally produced art and crafts, both markets are a meeting point for live music. In the small territory that makes up the island of Formentera natural and cultural value often mingle by the fuzzy line that divides them. The natural resources of the island have been used over time for the support of Formentera. There are three main historical complexes: Sant Francesc Xavier, Sant Ferran de ses Roques and Pilar de la Mola. All of them have their Center in the parish church around which revolve squares and streets that follow the layout of the ancient roads that communicated to the population with churches. But there are other elements that are part of the cultural heritage of Formentera as those who were used to the defense of the coasts and signalling (headlights and defensive towers), for territorial marking (dry stone walls) and also Mills, houses, cisterns, wells and cisterns among others. 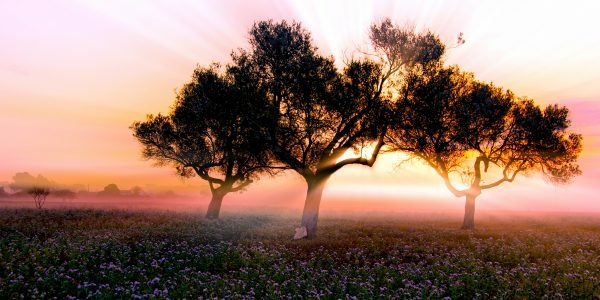 On the island of Formentera, we find several activities to do on family and that connect us with their most familiar character. One of them is to make long walks to horse going through forests of Juniper and pine trees, Rocky landscapes of the Can Marroig, sidewalks aromatized by the bushes and the wonderful colors of the Estany des Peix. You can choose which path we want more: a short to riders without too much experience who passes by plain and is thought to enjoy the landscape and other longer focused on those riders experts which allows you trot and Canter. The Faro de la Mola and its natural environment is a visit that will take us back in time due to its rustic character that is favored by the presence of livestock and a House listed as architectural heritage because of its typical features. The panoramic view that can be seen from the cliff makes it worth the visit. If we follow the Green routes 8, 10 and 11 we will arrive at the Faro del Cap de Barbaria after passing through the prehistoric sites of the same. It is advisable to enjoy views of the sunset there and also visit the Torre des Garroveret, a watch tower built in the 18th century to protect the island from invaders. Estany Pudent is a large lake located in the North of Formentera, between the towns of la Savina and Es Pujols. Bathing is not permitted but it is a perfect area for walks on foot or by bike, where you can enjoy the landscape and bird watching. For this, the best thing is to wander Es Brolls road which runs along almost the entire Lake. Nearby are Ses Salinas to, especially in summer, they have beautiful colors pink and violet. They are part of the cultural heritage of Formentera and before your tourist exploitation, they were the only industry that had been on the island.